Cloud Storage services are not just a service to sync and access files from anywhere, but a great option to save your important photos files and documents. Cloud Storage services are really easy to use and most of them had a free option too. 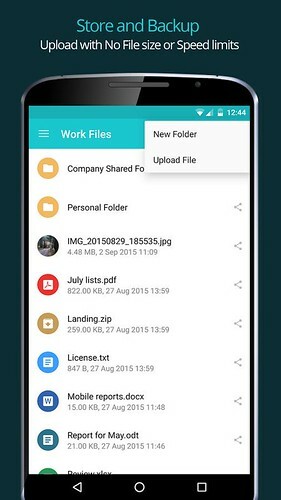 Today we are listing 6 Best Cloud Storage Apps for Android. 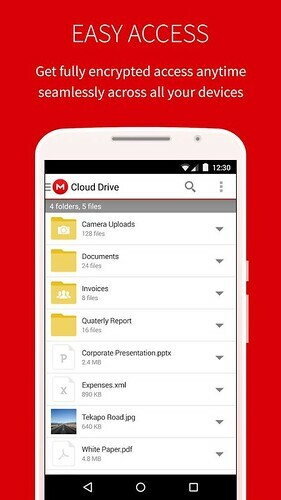 Google Drive is the best cloud storage app for most people that lets you save your precious photos, important documents, videos and lets you access it from anywhere and any device. 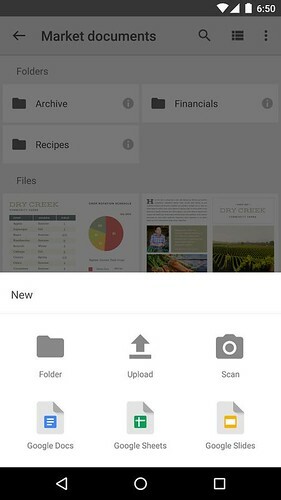 Google Drive gives a free 15GB of free storage for all users and you can set sharing permissions to view comment or edit. Remember that the files attached on Gmail account will count against your Google Drive storage. Box comes next into our list. Box gives a clean 10GB free for all users that help you to save your photos, files and documents. Box is as an awesome collaborate tool used by over 39 Million people worldwide. You can easily share your Box folders with others. To share a link to a file or folder, right of the file or folder, click Share. A link will appear in a pop-up window. 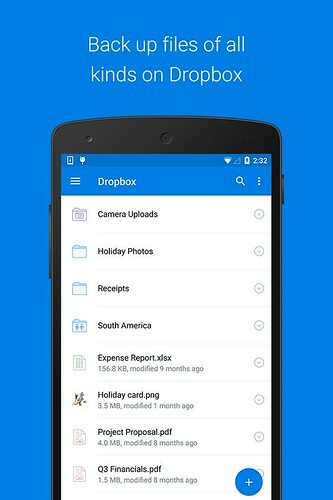 Dropbox is a trending cloud storage service that comes with powerful features. 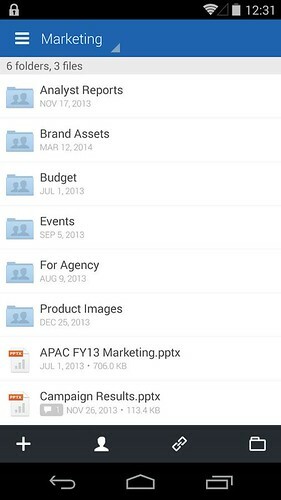 Dropbox is the well known for simplicity and perfection. You will get 2 GB for free storage and can earn up to 500 MB for each referral up to a limit of 16GB. Mega comes next into our list. Mega is one of the best websites that provides a huge 50 GB free storage space for everyone. You can turn auto upload on Mega and it will automatically save your photos into the cloud. Mega’s new camera Uploads now allows you to upload videos and sync multiple photo albums. Comparatively, pCloud is new into the business gives everyone 10GB of cloud storage space when sign up and you can earn up to 20GB with referral bonuses for free. 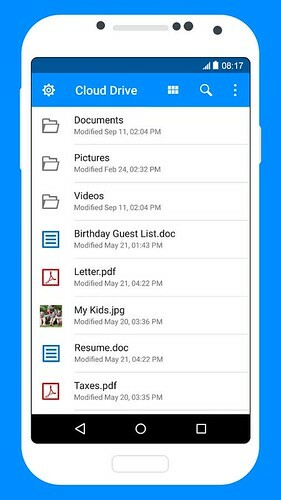 You can upload photos, videos to your pCloud account securely. Amazon Cloud Drive comes next into the list. If you are an Amazon Prime User, Amazon Cloud Drive is a good start for you. You will get a 5GB of storage when sign up for the service and for $11.99 you will get unlimited storage for photos and 5 GB of space for videos and files. If you are a heavy user, you can upgrade for unlimited everything that gives unlimited storage for photos, videos, and files. You might be surprised why Microsoft OneDrive is not listed here. OneDrive is not listed here because its free offering will be cut from 15GB down to just 5GB. You can ask me why you listed Dropbox here, it only gives 2GB for free. Yes, you are right but OneDrive is the only popular cloud storage service that reduced free cloud storage in 2015. I don’t think its good.